Overview & specs of Ecozone Pan and Soleplate Cleaner by Currys PC World. 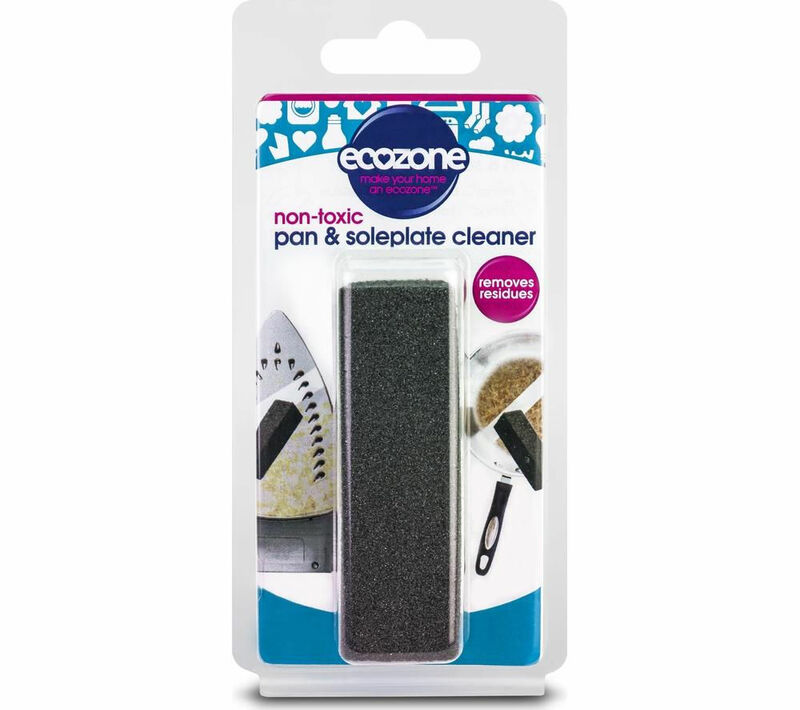 The Ecozone Pan and Soleplate Cleaner will cut through burnt on stains on your pans, ceramics and glass with ease.Just add water and rub the block over the stained area to remove stains from surfaces.This non-toxic cleaner will even remove rust and other tough stains on a range of surfaces all over the house including ceramics and glass. It can even be used for reviving grout.The Ecozone Pan and Soleplate Cleaner cuts down on cleaning time. We are comparing prices for Ecozone Pan and Soleplate Cleaner in new condition sold by Currys Pc World.